A bank levy is a tool commonly used by creditors to collect on a debt. For Hayward residents struggling to make ends meet, the levy is often a significant stumbling block on their path to financial stability. The legal processes connected to bank levies can be somewhat confusing and may be difficult to understand without legal help. Typically, a creditor first obtains a judgment against the debtor. Then, the creditor asks for a court order giving them the authority to levy the debtor’s bank accounts. With a court order in hand, the creditor then contacts the bank and asks for the debt to be paid from the debtor’s accounts. Unfortunately, a bank will usually freeze the debtor’s bank accounts for several weeks while the creditor settles the debt. This can be a huge inconvenience for any Hayward resident who is facing a bank levy, as they will be unable to access their bank accounts for a period of time. It goes without saying that it is important to understand your legal rights as a debtor with regard to levies and access to your property. While it often seems that banks and other creditors hold all of the cards, depending on your circumstances, you may be able to defend yourself and otherwise put a plan in place for financial security. How Can Filing for Bankruptcy Stop a Bank Levy in Hayward? Filing a debt collection lawsuit. If a creditor ignores the automatic stay, they can be held in contempt and be forced to pay any damages that the debtor suffers, attorney’s fees, and in some cases punitive damages. It is generally best to file for bankruptcy before the account has been levied at all. Unlike wage garnishment, which takes money from your paychecks over a period of time, a bank levy can quickly drain all of the money from your bank account. Timing issues are particularly important when it comes to bank levies. Once you have received notice that a civil lawsuit has been filed against you in the California Court System, you must file a response within 30 days. Failure to respond can result in a default judgment, which the creditor can use to obtain a court order for the bank levy. The Law Offices of Melanie Tavare have experience helping Hayward residents against creditors. 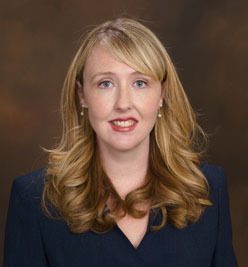 She is an expert California bank levy attorney. If you are worried that your bank account will be levied, you should act fast by contacting us online or calling us at 510-255-4646. We can listen to your individual financial situation and offer advice about whether filing for bankruptcy is the right option for you.